When it comes to international relocation there is no subsitute for experience.  At Rainbow Movers, we’ve been helping families and businesses relocate across the world since 1918. At Rainbow Movers, our international moving team and crews are all RIM (Registered International Mover) certified. Our personalized approach to foreign moving reflects our commitment to finding a solution that’s right for you. Plus our dedicated international division also represents many of the world’s leading international specialty movers who rely on us to provide their clients unmatched expertise and service here in the Northeast United States. This team was excellent!! Everything was handled professionally, and I was very satisified with the quality of work. Moving to a foreign country is one of the most exciting decisions you’ll ever make. When you move, you create a whole new lifestyle for yourself and your family. You open up a world of new cultures. You discover the wonders of a new environment. Considering these changes, please allow an International Specialist from Rainbow to show you the best way to transport your belongings to your new home. All around the world, our dedicated team of employees and representatives are there for you. From pre-move planning to clearing customs at your destination, our team will make you part of the process every step of the way. The dynamics of worldwide business today have laid a variety of new, time-consuming responsibilities in your lap. Moving employees overseas involves issues and uncertainties that are quite different from a domestic move. That’s why it’s important to choose a mover experienced with international moving and relocation services. Rainbow Movers understands the growing demand for a comprehensive service partner who can be trusted to handle all of your international relocation needs, from a few employee moves a year to complex group relocation. Within 24-hours of your call to Rainbow Movers, your move will be assigned to a Move Manager, a highly trained expert whose job is to keep you informed and to orchestrate every element of your relocation. Your Move Manager will oversee your entire relocation, from developing your estimate to helping you prepare for customs requirements in your destination country. Smart planning is the key to a successful move, especially for international moving. Beginning with your first call to Rainbow Movers, our comprehensive move management process provides a clear roadmap to your new home. From specialized packing services to help moving your pets, we’ll build a move plan that meets your unique needs at every step. Moving day has arrived and now is when Rainbow Movers’ international moving services really shine. The moving crew will be helpful and professional. Your furniture will be wrapped and cushioned properly, and crated if necessary to ensure protection. Your belongings will be packed into double or triple walled cartons, with careful handling of delicate items. Additionally, everything will be clearly labeled, so it’s unpacked in the appropriate room. Heightened security concerns have made clearing customs increasingly complicated. 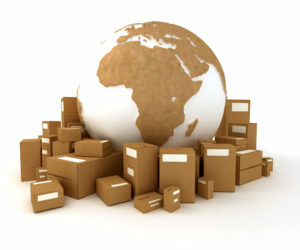 Count on our experienced international moving specialists to see you through. Our expertise in the customs requirements of countries around the world let us provide accurate guidance regarding restricted items and paperwork procedures so there will be no surprises when your shipment arrives. Included in our standard service is thoughtful unpacking procedures that make it easy. Plus, we’ll perform a careful inspection and inventory of all your items and clean up packing materials and debris during your relocation. Just in case you’re not fluent in the local language yet, an English-speaking crew leader specially trained to assist international moving will be there to greet you. Just in case you need it, you can count on fast, fair claim service. Rainbow Movers team of international moving specialists will take every precaution to make sure all your belongings arrive at your new home safely. However, in the event that you should need to file a claim, your International Export Counselor will help you through the process. Great experience start to finish! Thanks Alan! Give Rainbow Movers a call now to get started – (508) 528-4111! !